Leading Mediterranean importer-distributor Orsero Group has confirmed that a third of four planned production centres for fresh-cut and ready-to-eat products in Italy is now officially up and running. Located in Verona, the new facility join two existing centres in Florence and Molfetta, Puglia, in forming a major network for the deliver of convenience products across the country. A fourth packhouse is due to open later this year in Cagliari, Sardinia. Orsero already has a more traditional packhouse facility in Verona, with the new addition representing a major upgrade capable of producing around 30,000 individual packs per day. "With the new Verona facility, the group is taking a further step of major importance in terms of Ordero's growth and competitive strengthening in the fresh-cut segment," commented chief executive Raffaella Orsero. 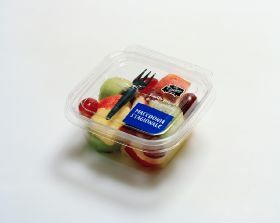 "Its logistically strategic position allows the group to strengthen its distribution network for this line of products in northern parts of the country, and thanks to the other two facilities it allows us to distribute chopped fruit on a national scale, guaranteeing an extra premium-quality product and very short delivery times." All three of Orsero's convenience product centres are apparently equipped with the latest technology for cutting fruit in order to offer the highest possible quality, hygiene and safety standards, the company said. At the same time, it added, it aimed to maintain an artisanal approach to production and to place great emphasis on the products' organoleptic qualities.